Tessa Johnson established Las Tejas Designs with the inspired vision of creating interiors that are both personal and unique to each individual client. 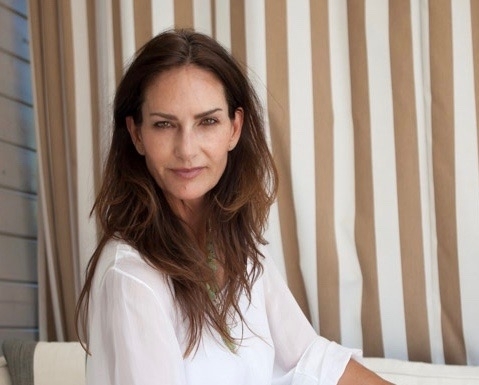 Her creativity and sincerity has made her one of the most highly regarded designers in Los Angeles and a top Real Estate Agent at Coldwell Banker, Malibu. Tessa is a successful Real Estate agent, with over 25 years of experience, this sets her apart from other designers. She specializes as a buyers agent from Malibu to the San Fernando Valley. Tessa will not only find your home, she will also assist you in creating a luxurious interior. Her design experience ranges from celebrity estates to quaint charming homes. Tessa Johnson's style combines practical elegance with a modern and eclectic sensibility resulting in a delightful exuberance. Her ability to combine daring yet subdued patterns ranging from French and Italian Country Style, to clean and modern Contemporary lines. Tessa has an impeccable sense of color which has enhanced her signature style. Las Tejas Designs specializes in residential interiors; full kitchen and bath remodels, furniture design, kids rooms and nurseries, color coordination and lighting selection. Las Tejas Designs is a full service company and can coordinate any and all facets of the design process from the ground up. Tessa Johnson was raised in Montecito in one of the most well know estates in the area named, Las Tejas. At an early age the seed was planted for the appreciation of architecture and design.